Sometimes, there are things that we do in our lives that we just simply regret. Whether we understand the severity of our actions at the time, or whether we’re unaware of the ramifications…most of us have exercised poor judgement at some point in our lives. 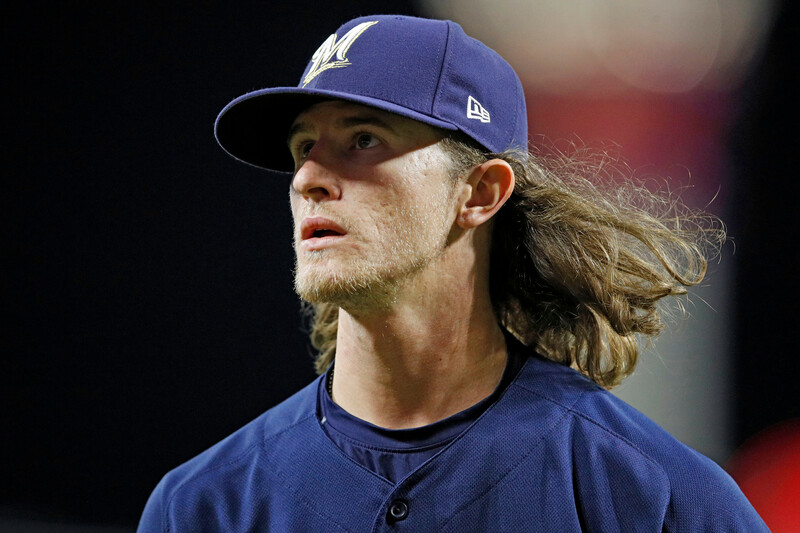 If there’s anyone who understands the magnitude of their “poor judgement”, it’s Josh Hader. By now we’ve all heard about the racist and homophobic tweets that Hader was responsible for. And despite how disturbing those tweets were, I actually think this is a great teaching lesson to all the young athletes out there. ANYTHING that you put on the internet will live there forever. Let me repeat that again for all the people in the back…ANYTHING THAT YOU PUT ON THE INTERNET WILL LIVE THERE FOREVER. As a sportscaster, it’s my job to interview young athletes on the weekly basis and many of them are quite active on their social media accounts. I understand that we live in a digital age where we want to upload everything instantaneously, whether it’s photos, status updates, tweets, snapchats, etc. But I urge all young people to use discretion and common sense before just posting anything on social media. You never know how it can come back to haunt you…just ask Hader. The Brewers pitcher actually sent those disturbing tweets roughly seven years ago when he was just 17 years old. Now as a grown man, he’s dealing with the repercussions of a bad decision he made as a teenager. Now I’m not here to be the social media police…I just want to encourage all my young people to be responsible while using their social media platforms. BOTTOMLINE…I don’t want to see you end up like Hader…I want you to LEARN from him.